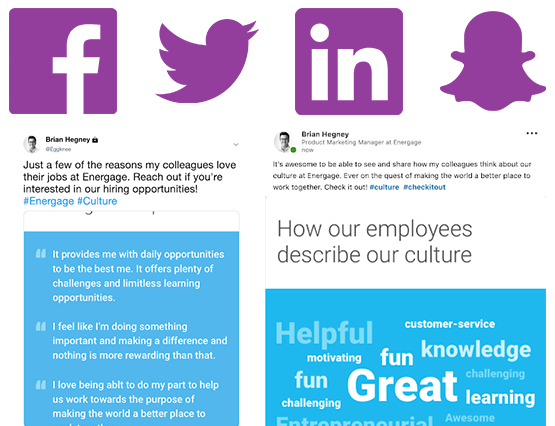 Broadcast your employees’ voices to showcase culture in an authentic and positive way. 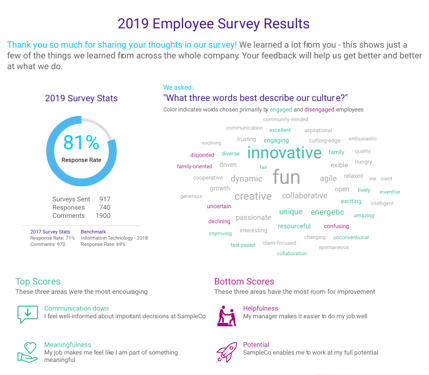 While other review sites rely on anonymous, unverified data, the Employer Branding solution uses independently collected survey responses from active employees that are then validated and analyzed to uncover key aspects of a company’s culture and employee experience. Companies can then leverage accurate representations of their culture to compel the right prospects to join. 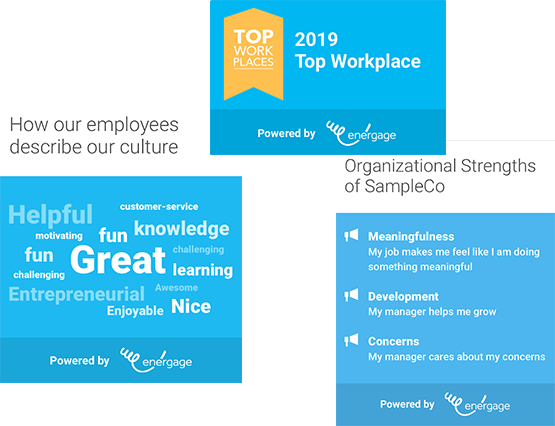 Let your employees know that you heard and value their feedback. This practice builds trust and provides opportunity to celebrate areas where your culture is succeeding. According to Harvard Business Review, companies with poor employer brands spend 10% more on salaries to get the same talent. 76% of individuals surveyed say that they’re more likely to trust content shared by employees rather than content shared by brands. According to Linkedin, a positive employer brand can increase retention by 28%. And, it’s estimated that a bad hire costs 50% or more of their salary to replace. So, keeping a 50k employee saves you 25k. That’s per person retained. The current job market is 90% candidate driven. In order to make yourself the employer of choice, you have to be able to trigger your perfect candidates’ interest by differentiating your company from your competitors.